When Chester’s new Storyhouse opens its doors today it will be the end of a long road – and the start of a new adventure for both the city and the team behind the ambitious artistic project. It has taken two-and-a-half years to transform the grade II-listed former Odeon cinema. But plans for a new performing arts space go back more than a decade – to before the city’s Gateway Theatre closed in 2007. While discussions carried on in the background, Andrew Bentley, the current chief executive, and artistic director Alex Clifton started Grosvenor Park Open Air Theatre – with 200 seats, two productions and a three-week run. Office space opposite the park became temporary dressing rooms and, if it rained, there were gazebos to shelter under. Seven years on, the open-air amphitheatre seats 550, there’s a proper actors’ village and last year it sold 26,500 tickets – running at 94% capacity. From initial plans for a performing arts centre, the project grew to include an art house cinema and the relocation of the city’s library, which now runs throughout the building. None of it would have been possible, though, without the support of the local authorities, which have invested almost £33 million of the £37 million project costs. Clifton describes their commitment as “extraordinary”. In return, the city was keen for the theatre to house touring work including big musicals, headline comedians and concerts. Conversely, Clifton wanted a more intimate, non-proscenium arch space to create home-grown work – a democratic space that “has a more intimate contract between actor and audience”. 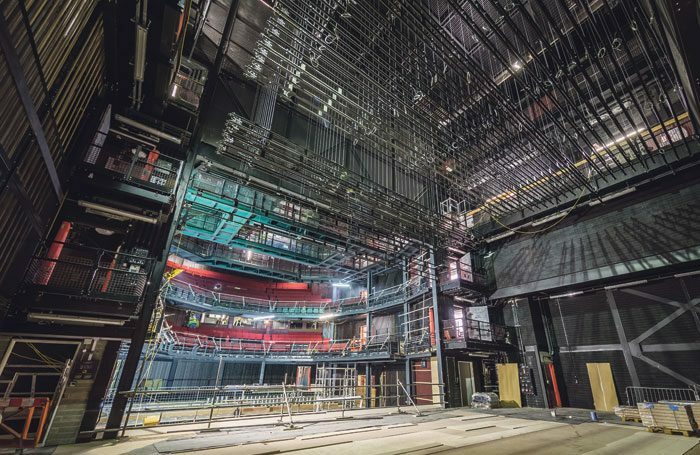 It was left to theatre consultant Charcoalblue to come up with an ingenious solution that means the main 800-seat proscenium arch theatre can also be transformed into a 500-seat thrust stage configuration. The home-grown productions will be followed by a full autumn programme of tours, including Footloose, Spamalot and Blood Brothers. So what of the inaugural Storyhouse season? The team behind Grosvenor Park has upped the ante by extending its offering from three to four productions for 2017, although retaining its formula of mixing Shakespeare with new work. Thus, audiences will be able to see A Midsummer Night’s Dream and Julius Caesar, alongside two new versions of old favourites – The Beggar’s Opera and Alice in Wonderland – adapted by Glyn Maxwell. The playwright is part of a tight-knit team that returns year on year to stage the open-air season, and all but The Beggar’s Opera will transfer from Storyhouse to Grosvenor Park. His new Beggar’s Opera is set in Chester, and locals will recognise street names and references. As for Alice, he says the obvious gift is the Cheshire Cat, although in Maxwell’s version he becomes a feline who is simply interested in Cheshire. 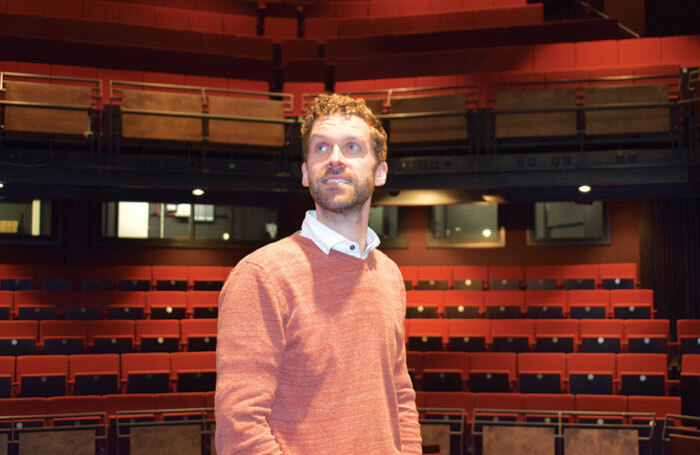 The Carroll/Maxwell tale will be staged in Storyhouse over half-term, and Clifton says he wants to fill the building with families in the same way they have embraced the open-air experience. The Beggar’s Opera, meanwhile, which launches the theatre tonight, is definitely one for adults. “The piece is glorious because it’s so dark,” Clifton explains. “What else would you open a theatre with? What a great way to open – with the beggar crashing the stage. We’re in this high theatre, we open with a footman lighting the candelabra, with a bit of Handel being played on the harpsichord. And some bloke from out there, who’s sitting with a cup of tea, or busking outside, decides, you know what? I want to tell my story. I want the theatre to be used to tell the story of what life is like from my point of view. Meanwhile, Jess Curtis is the designer responsible for candelabra, cats, Caesar and all. This is her fifth year as part of the Chester team, after she “completely fell in love” with its way of working. Things have certainly changed this season – from three to four shows and now two venues, one indoors one out, one thrust stage and one in-the-round. Curtis has sought to find common ground between both spaces, but also enjoys “celebrating the differences”. With the productions that are transferring, costumes and props will bear the weight of the storytelling. But when it comes to The Beggar’s Opera, it’s a chance to show off the mechanics of the Storyhouse theatre, built in a new glass and metal extension, with its flytower and underfloor space – a luxury in a city where Roman archaeology nestles 1ft underground. One thing shared by all the Storyhouse productions is a progressive ticket pricing policy, where how early you book determines how much you pay for the seat you get. 1. Storyhouse is home to an 800-seat theatre, the 150-seat Garret Theatre, a 100-seat cinema, library and cafe/bar. 2. It has the biggest rep company in the country outside the Royal Shakespeare Company and National Theatre. 3. The building doesn’t have a box office – 94% of tickets are sold online and the rest as walk-ups or by the engagement team working across the site. 4. The best views in the building are saved for the dressing and green rooms – they face west and overlook the Welsh mountains. 5. Including this year, 133 actors and two dogs will have performed at Grosvenor Park Open Air Theatre and Storyhouse since 2010. And they’re good at multitasking. During Macbeth in 2014, one of the Weird Sisters caught a cork mid-show from an audience member’s bottle of fizz. The four shows will be performed by Storyhouse’s inaugural rep company, with the genders of the 28 actors and three musicians balanced as evenly as possible with an odd number. There is also 15% black, Asian and minority ethnic representation. Some, such as Adam Keast, who appeared at the park two seasons ago, are returning, while there are new faces, too. Playing two extreme roles and working with two directors (Derek Bond directs Alice) also appealed, as did the chance to challenge the idea of a ‘musical theatre performer’ pigeonhole. Not just that, but Clifton’s determination to turn convention on its head means the slight actor is playing Bottom. Among the 31-strong cast, two – Alex McGonagle and Olivia Hackland – are graduates of Storyhouse’s Young Theatre Company, making their professional debuts in A Midsummer Night’s Dream as Flute and Starveling respectively. But they are just the tip of an apprenticeship iceberg, with opportunities for young people throughout Storyhouse. Clifton, who spent seven years as an actor tutor at RADA, was keen to make the entire building a learning resource. But he had to modify initial plans to work with young homeless and vulnerable people after it became clear what they wanted wasn’t acting workshops but volunteering opportunities, apprenticeships and jobs. The result is a young leaders’ programme. Every Storyhouse staff member is a mentor and young leaders receive formal accreditation for their work, whether in hospitality, the library or the acting company. Now the years of planning are finally over and Storyhouse has opened its doors, what is the ambition for the venue?